What type of plants do you like? Dislike? How do you use your yard? What is your landscape budget? 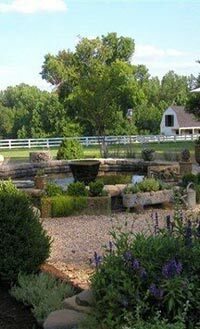 Have a landscape plan designed for your new home? Interested in organic vegetable and herb gardening? have designed. We can do the same for you! After we have completed our site analysis, we will create a “conceptual plan” that is a rough draft of our best ideas. This plan will include plants that you requested as well as our low maintenance, sustainable plant suggestions. We will schedule a meeting with you to review the concept plan, make changes and get approval. This is where we need to get on the same page and have honest input from both sides so that the new landscape is “yours”. After our concept meeting, we will complete a final plan. At this time, we will then present to you a detailed, to-scale, landscape plan that includes a list of all plant material and number of each. The final meeting, we will have our installers, both hardscape and plant installers, present to discuss the fine details or your project. As a result of this meeting, they will be able to generate an estimate for your work. Their work comes with a one-year guarantee on the plant material. Use landscape and hardscape installers that we recommend. A note about our installers. You are certainly free to use option one or two above and we encourage you to do so, if you are comfortable. However, the installers we recommend are those that we work with on a regular basis and, as a result, we are familiar with the high quality of their work. They will provide a top-notch, turn-key installation that can include plant installation, landscape lighting, irrigation, hardscaping and water features. They will also travel out of town to install for our Northern Neck projects. Greenfield Landscaping has been making our clients very happy since 2011.